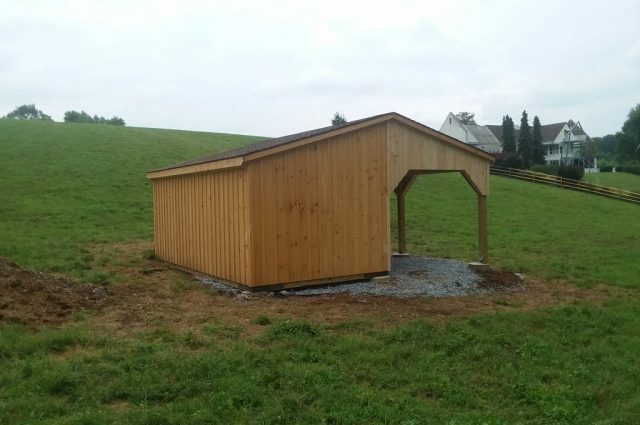 This is a 10’x20′ run-in shed with 10′ lean-to. 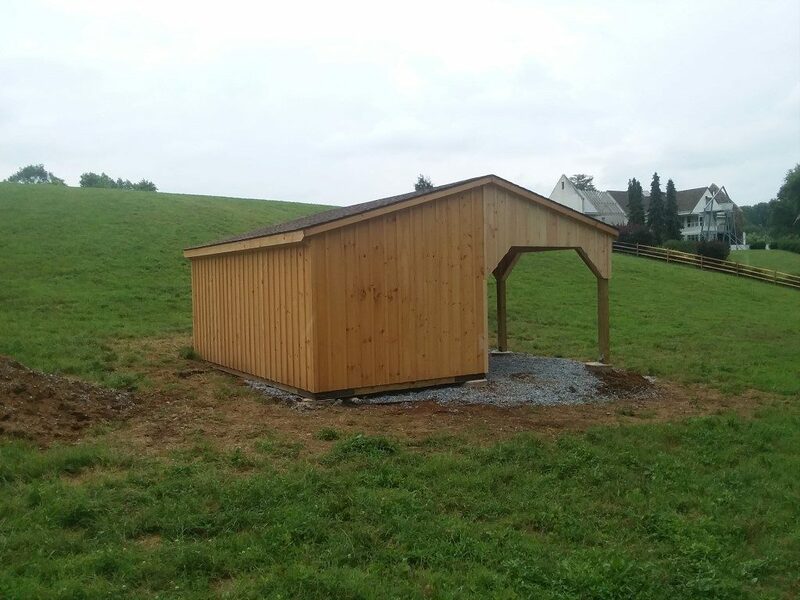 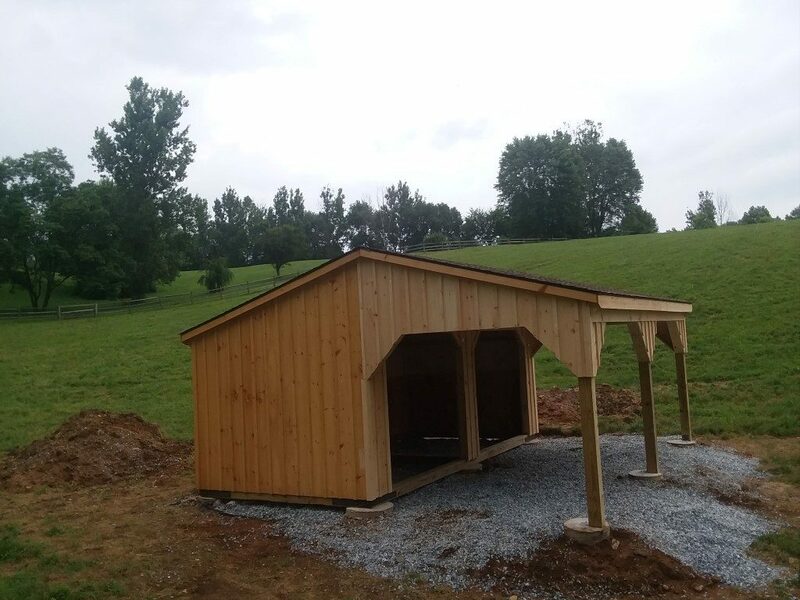 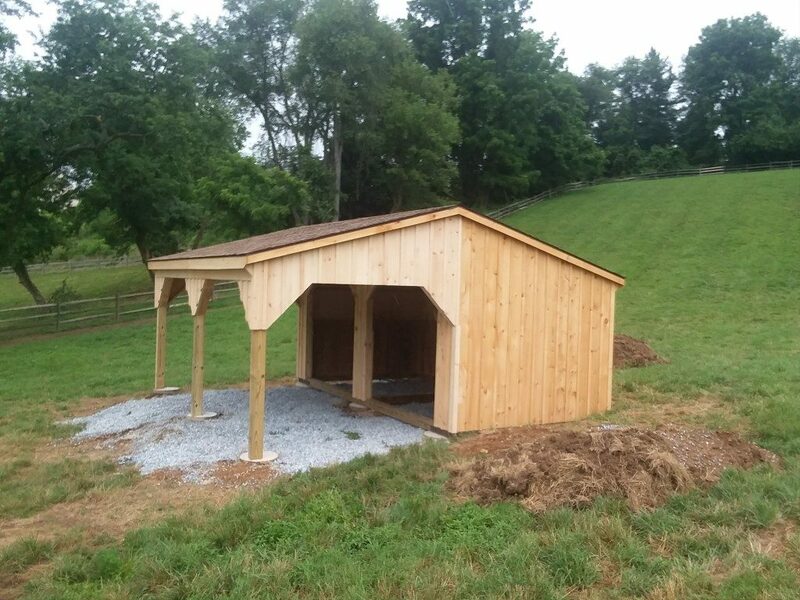 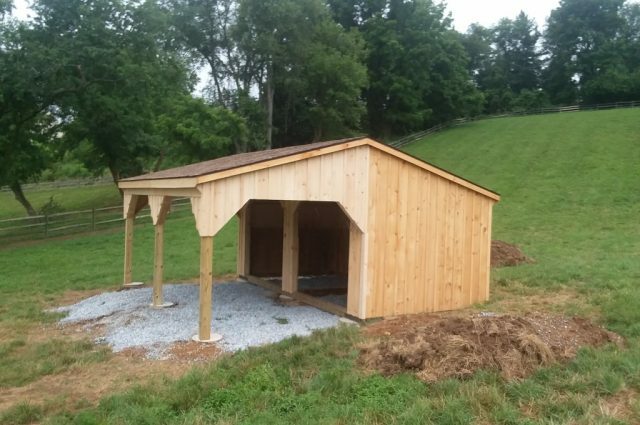 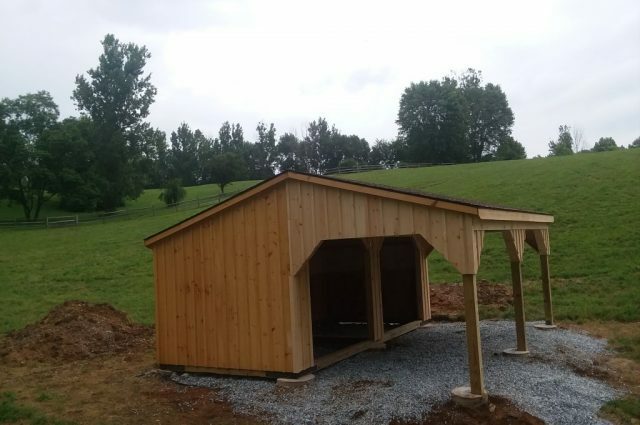 This West Chester, PA run-in shed with lean-to was built with white pine board and batten siding. 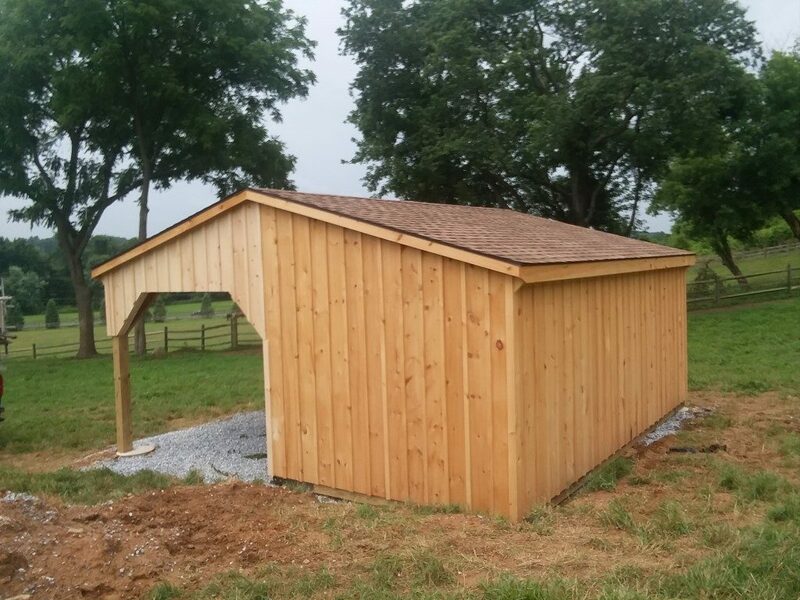 It has 3 pitch rafters and architectural shingle roof with GAF Timberline HD (Shakewood color) shingles. 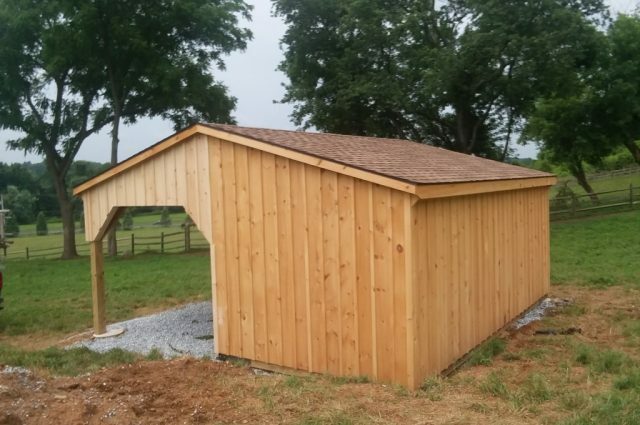 This run-in shed has (2) openings and the interior is lined with 4′ high oak kick board.